For a stay of up to 30 days, US citizens do not need a visa for tourist or business travel to this country, but a valid US Passport with at least 6 months validity remaining is required. Visitor must hold confirmed ticket and valid visa, if applicable, to next destination country. Visitor must have no record of law violation. A valid, signed US passport. The passport must have at least 6 months remaining after the completion of your stay in Taiwan, and contain at least one blank visa page. 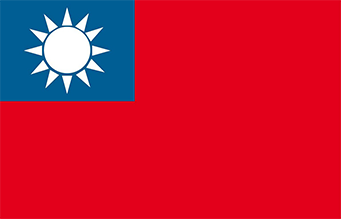 A Taiwan visitors visa is usually valid for five years from date of issue for multiple entries. The period of stay not to exceed two months for each entry. Visa validity: 3 months from date of issue. Visa not required for stay up to 14 days (non-extendable) for citizens of Australia, Austria, Belgium, Britain, Canada, France, Germany, Japan, Luxembourg, Netherlands, New Zealand. Passport must have at least six months validity remaining, and traveler must have no record of law violation.